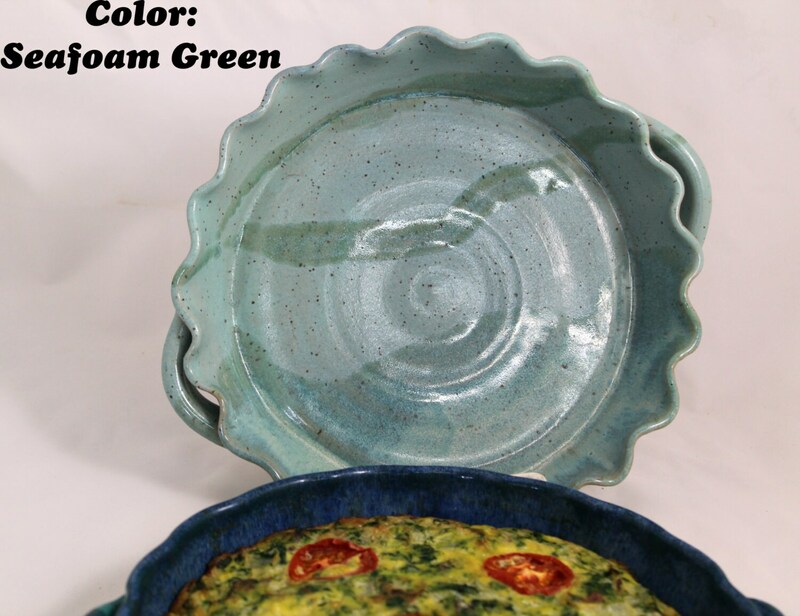 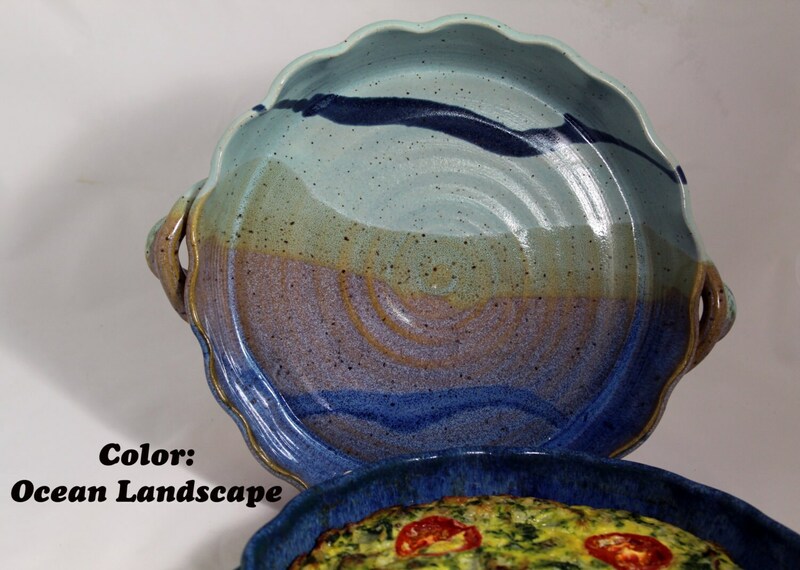 This wheel-thrown pot will bake delicious quiche and is beautiful for serving! 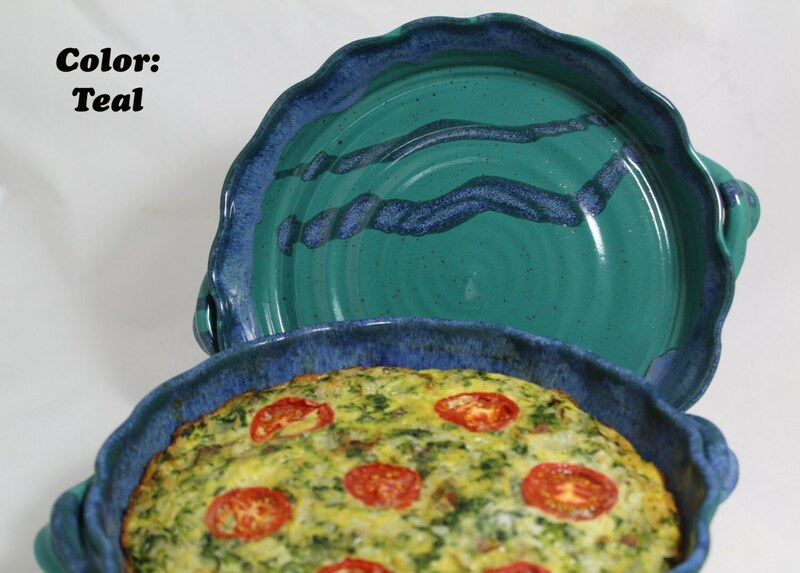 Crab quiche recipe included. 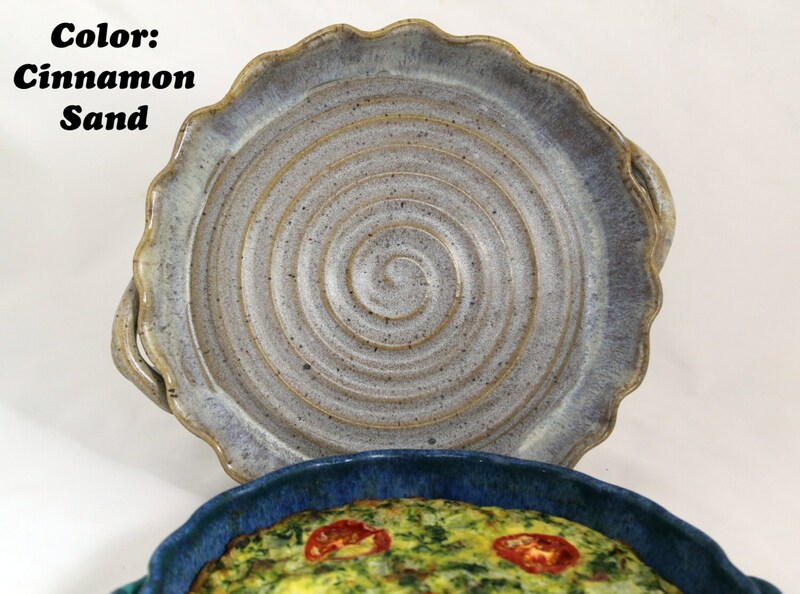 Each item includes a delicious Quiche recipe on business card .